This ranch styled stucco home is blocks from Baymeadows Road in the beautiful San Jose area. 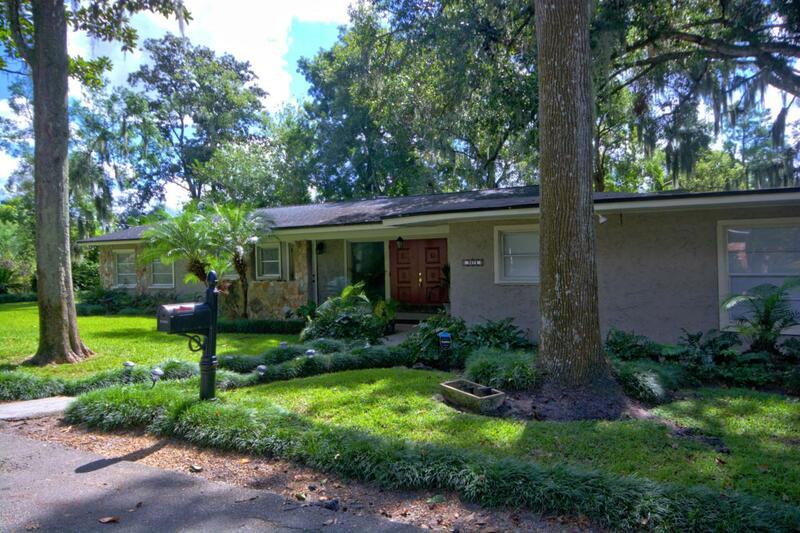 It's situated on a quiet private drive near the river on a corner lot with good neighbors! 3 bedroom, 2.5 bath home with office, living room, dining room, den, and foyer. 2,605 square foot spacious home with attached garage, screened porch, and outdoor patio area! This home also features wood, laminate and tile flooring throughout home, updated kitchen and bathrooms, private well and septic, new shingled roof and new solar water and heater to reduce monthly utility bill! -V.A. mortgage assumable to qualified buyer-Termite bondCall Today!